Oops! 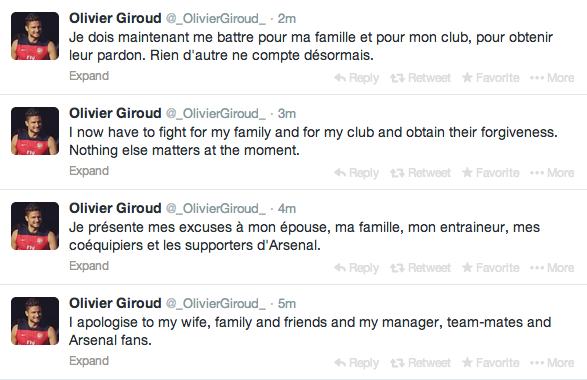 It seems like the Sunday Sun were right about Arsenal striker Olivier Giroud infidelity all along! After two weeks of leading their Sunday paper with revelations that the French striker had had a 3am romp with glamour model Celia Kay before the match against Crystal Palace (Arsenal fans won't like this), the Gunners striker has taken to Twitter to confess to the crime.